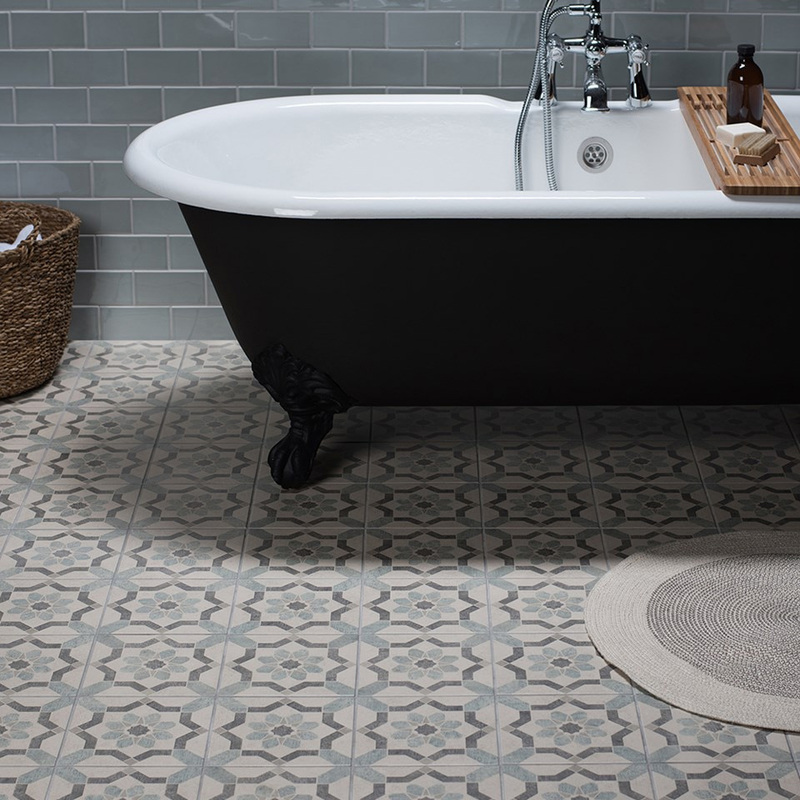 BJ Mullen can help you create your dream bathroom with our extensive range of bathroom floor tiles. 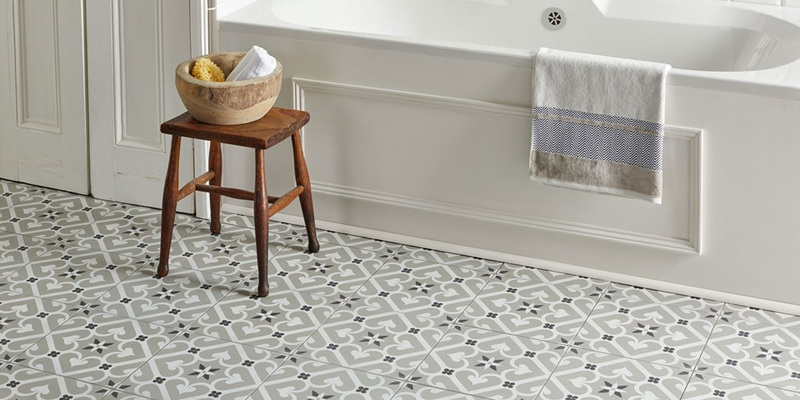 Investing in new stylish bathroom floor tiles is a fantastic way to update your bathroom space or add the perfect finishing touch to a new bathroom project. 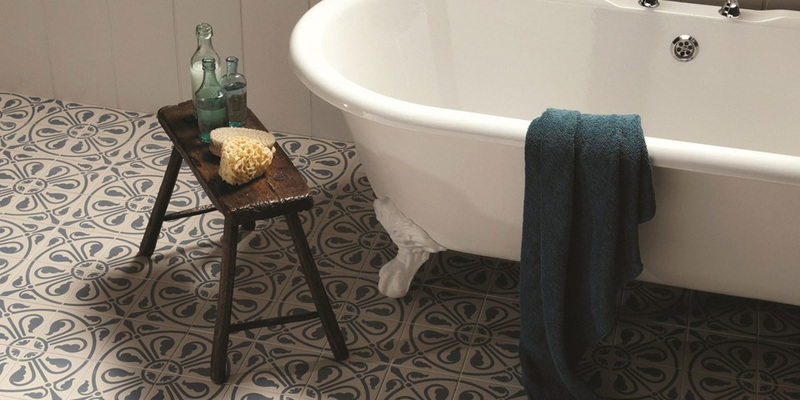 Finding the right floor tiles is essential if you are looking to create a bathroom which is both stylish and practical. 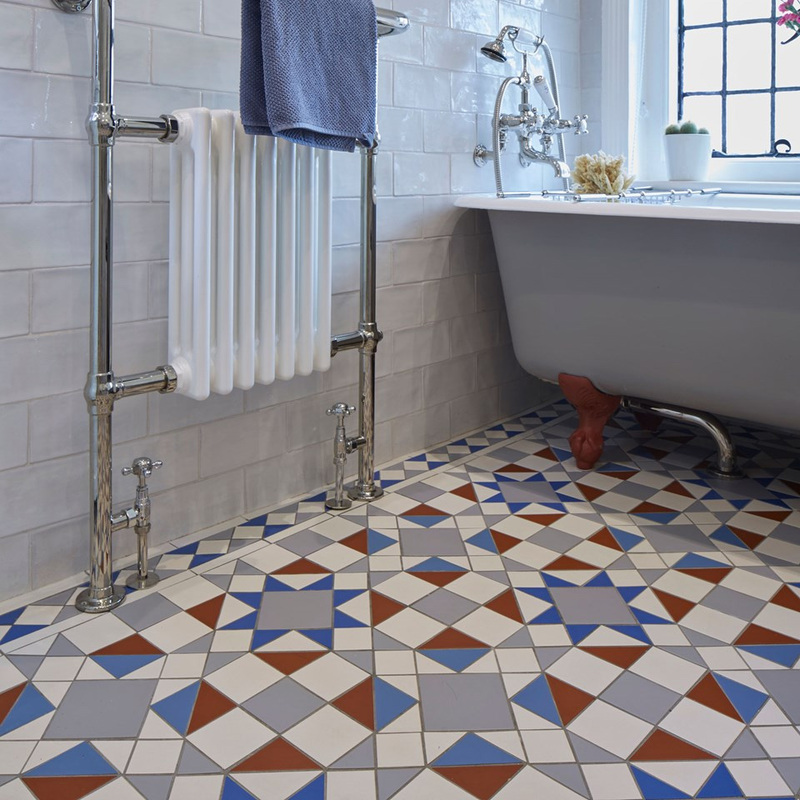 BJ Mullen have an extensive Bathroom and Tile Showroom which showcases the latest tile trends in beautiful bathroom settings. 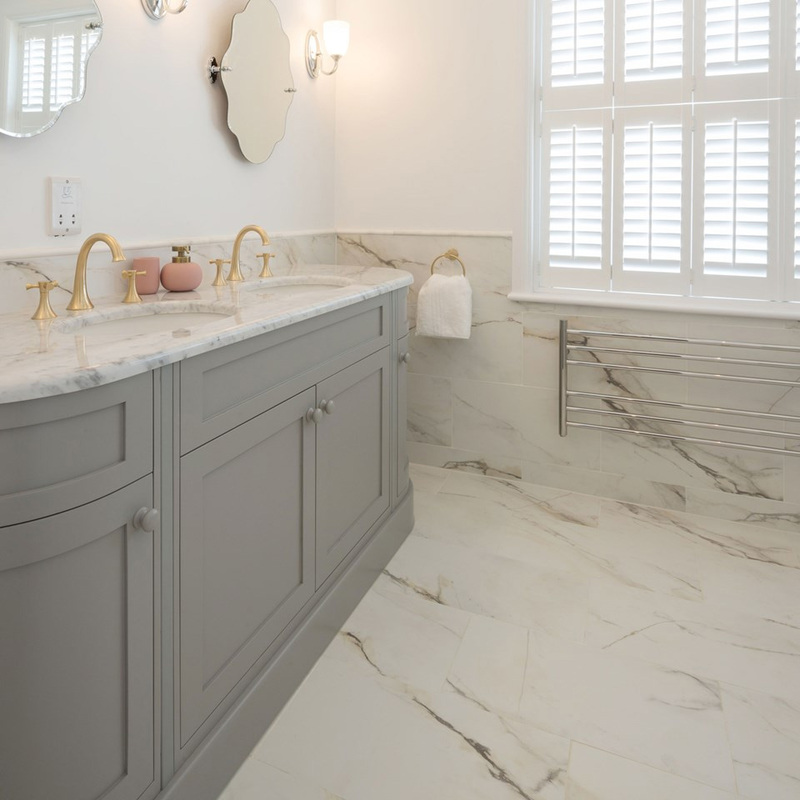 Browsing our many Showroom bays will undoubtedly help you choose your perfect bathroom floor tiles as you see the tiles against a finished room. We have a huge range of styles, materials, colours and designs at prices that won’t break the bank. 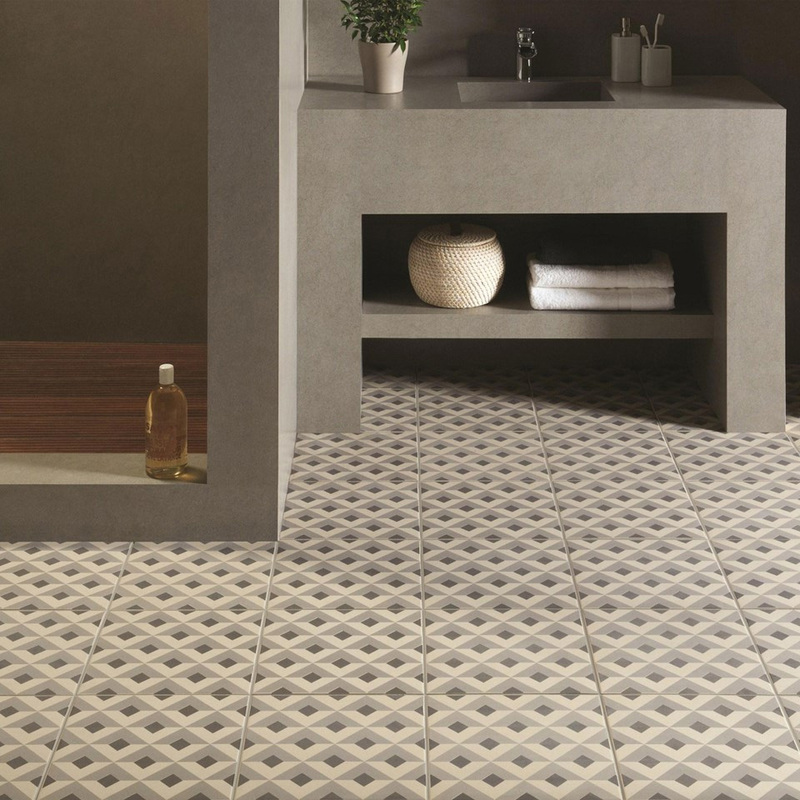 So, whether you are looking for a traditional bathroom or something more contemporary, BJ Mullen have the tiles for you. In terms of materials, ceramic and porcelain remain the most popular although we have other types available in stock. Our range of colours is vast with everything from plain to bright bold patterns. 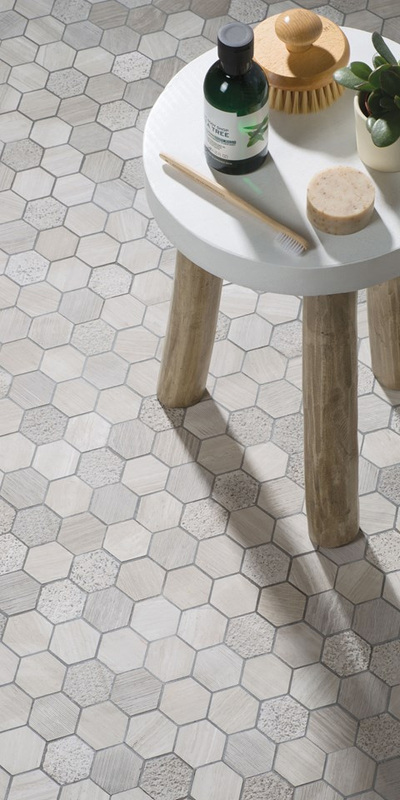 You can choose from a range of sizes depending on the ultimate look you are hoping to achieve – everything from small border tiles and mosaic tiles right up to large format tiles. 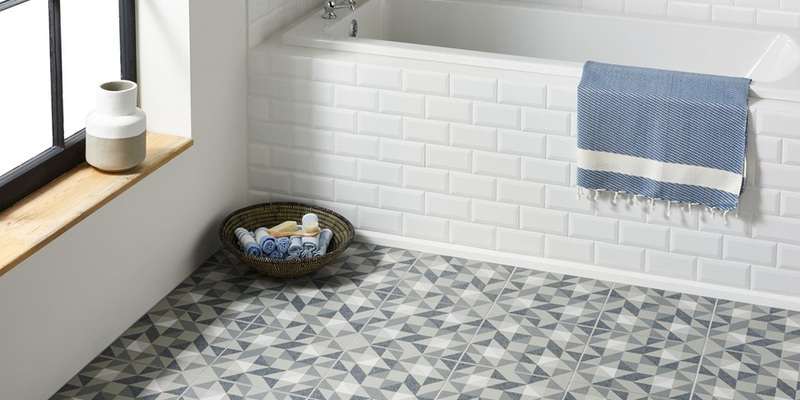 Small border tiles and mosaic tiles add a stylish finish to a room and large format bathroom floor tiles give a contemporary look and can make small bathrooms look more spacious. You will also have the option to create different appearances such as wood, marble and stone without the maintenance issues of the natural product. 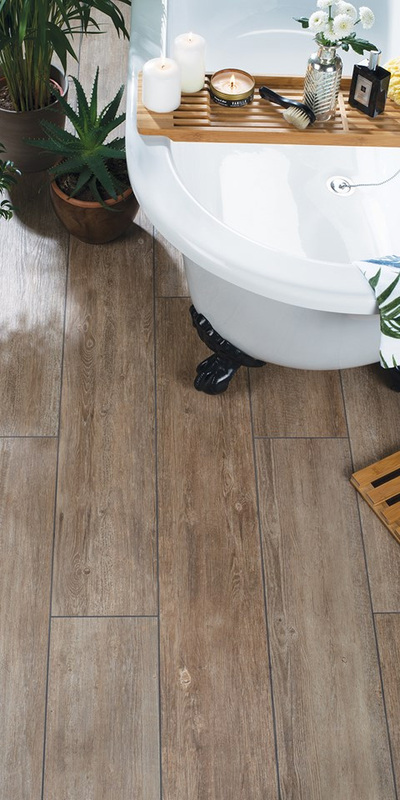 The right bathroom floor tiles can completely change the tone of the room so why not let our expert showroom staff give you the benefit of their experience and help you chose the right tiles for your ideal bathroom. What size tiles will I need? 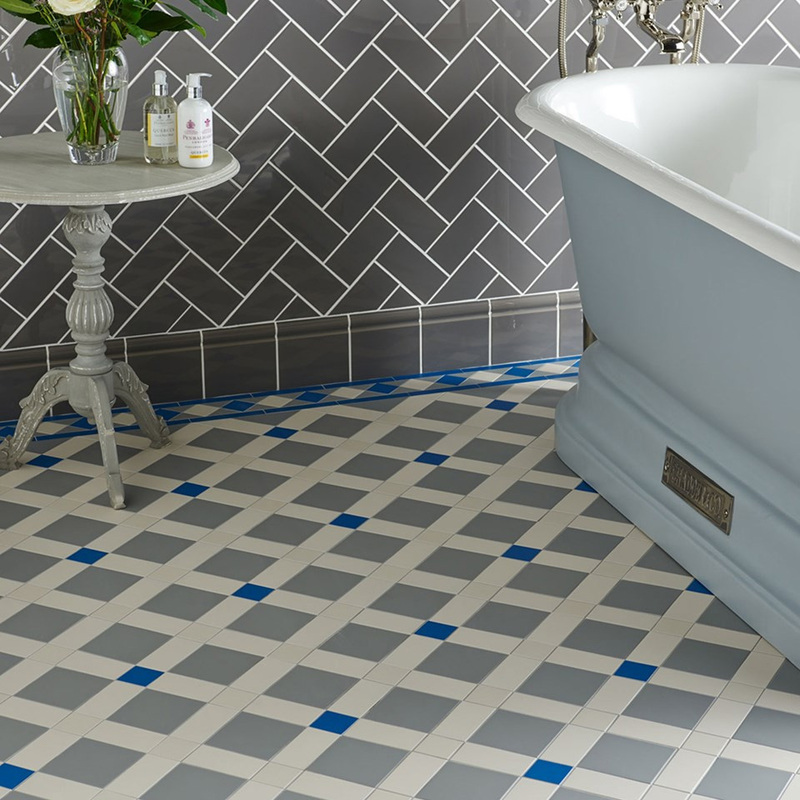 The size of bathroom floor tiles you choose will depend on a number of factors – the size of your bathroom, colour/design scheme and the overall look you are ultimately trying to achieve. Our Showroom Staff can advise you on your best options. Just call in with your room dimensions & layout and we’ll be happy to help. 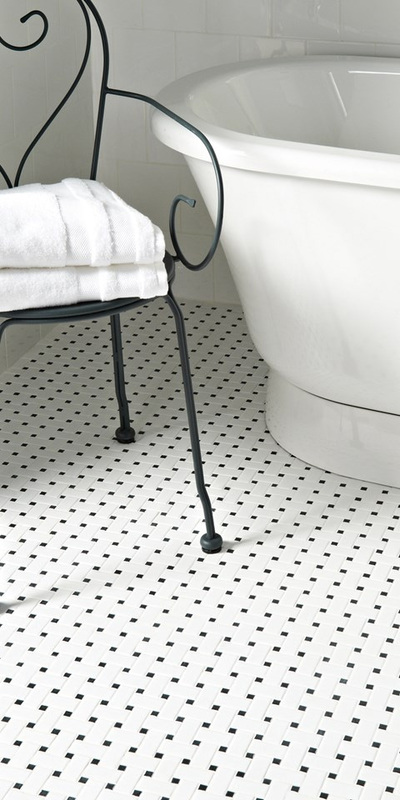 Do you install the bathroom floor tiles? BJ Mullen do not employ tilers but depending on your location, we may be able to recommend a tradesman to carry out your project. Just ask our staff when you are purchasing your tiles. How do I Clean my Bathroom Floor Tiles? Usually, normal floor cleaning products or steam are fine to use on your tiled floor. However, some materials may require specialist cleaning agents and our staff will be able to advise you on an individual basis.